Change Micro-structural Properties Of Metal Increase Strength, Toughness, Ductility, And Resultant Machinability. 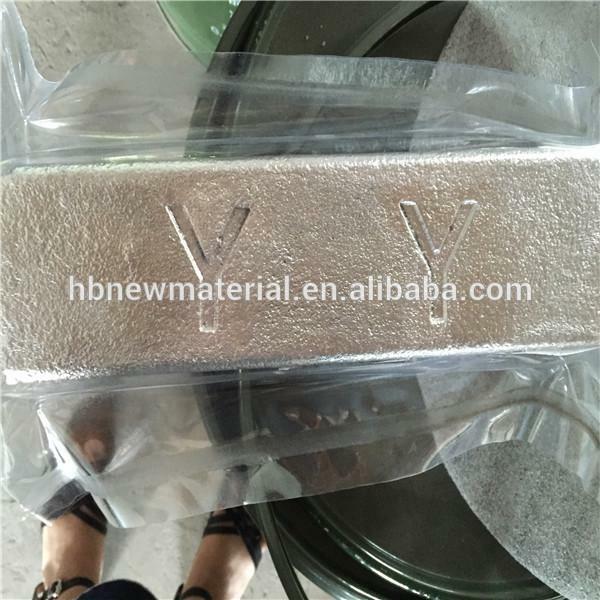 Mg-La Alloy; Mg-Sb Alloy; Mg-Ce Alloy; Mg-Sr Alloy; Mg-Er Alloy; Mg-Sn Alloy; Mg-Yb Alloy; Mg-Ir Alloy; Mg-Dy Alloy; Mg-In Alloy; Mg-Re; Mg-Ti; Mg-Re (La); Mg-Co; Mg-Mn; Mg-Si; Mg-Ca; Mg-V; Mg-Fe; Mg-Zn; Mg-Ni; Mg-Al-Sc; Mg-Cu; Mg-Y-Ni; Mg-Al; Mg-Al-Zn. 1. 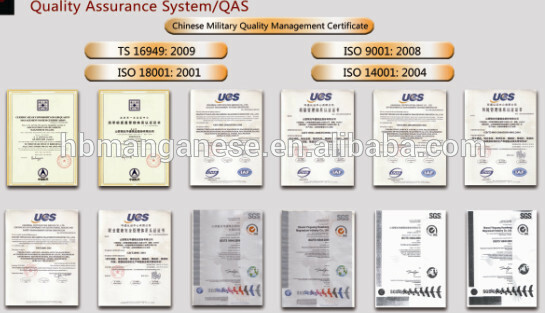 We choose ≥Mg99.95 of GB3499- 2003 for rare earty alloy. 3. 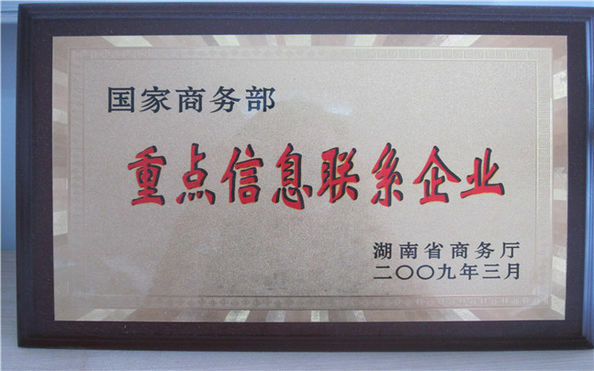 Using special crucible in the process of production and gas protection to strictly control the impurity content. 4. Small ingot and large surface area, uniform composition, no need to be broken and easy to melt. Change composition of metal alloys. According to the customer request to add rare earth alloy. Removing Packaging shrink film first and preheat to 200 ℃. 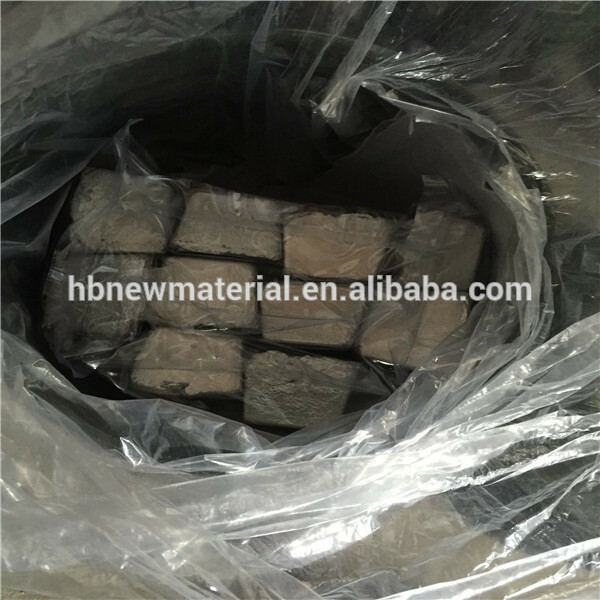 After adding all alloy, raise temperature to 820℃±50℃ and stirring. MgY25/30, MgMn3/5/10 , MgCa15/20, MgCe20/25/30, MgNd20/25/30, MgSc2/5/10/30, MgGd20/25/30, MgSr10/20, MgLa20/25/30,MgZr25/30,MgEr20,MgAl50/68,MgCu15,MgLi10,MgSi3 ,NiMg etc. 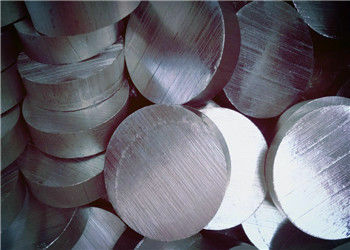 We also have other series of magnesium master alloys , such as MgY,MgLa,MgGd,MgNd etc.